Surf the air! 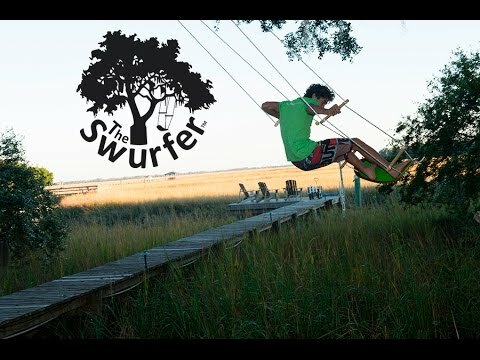 Swurfer is the revolutionary new swingboard reinventing the backyard swing. Its unique, curved shape allows you to soar through the air - providing more power, more moves, and more fun! Great for a little one looking for a calm swing. Great for a bigger one looking for excitement. Hang it from a tree, porch, rafter, or swing set - then hop on and hang ten! Why swing when you can Swurf?